I wrote yesterday about the girls’ decision to pool their money to buy chocolate for Valentine’s Day. Chocolate that Chloe asserted was intended for the two sisters, and not their parents. Well, it’s 24 hours later and I’m eating crow. The girls bought the chocolate for us. And they managed to keep it a secret. Not so difficult for Chloe to do, but a rare achievement for 5-year old Sophie. I’m still gobsmacked. 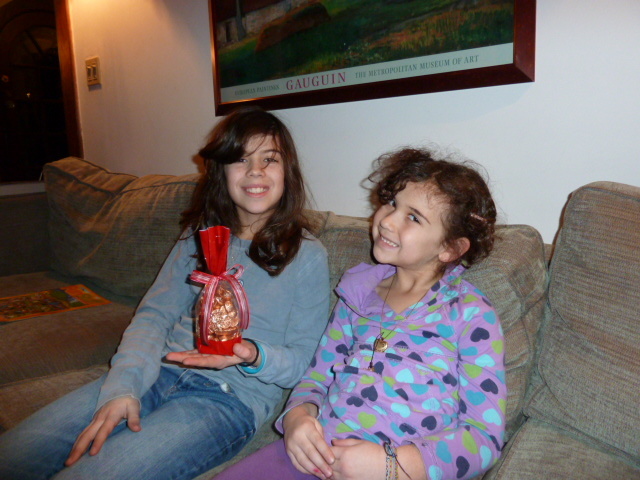 The girls actually pooled their money to buy chocolate for their parents. Apparently, it was all Chloe’s idea.